Bombo Beach Kiama, NSW/AUS (Sunday, January 8, 2017) – After nearly two full days of no action from Bombo Beach on the beautiful NSW South Coast, it was time for the WSL World Junior Championship to once again hit the water. After going on hold for the majority of the morning, event directors opted to send out Men’s Round 3 as small glimpses of a jump in swell began to appear. Although the waves were small, the sun was out and the world’s best 18-and-under male surfers put on a great display for the weekend crowds. 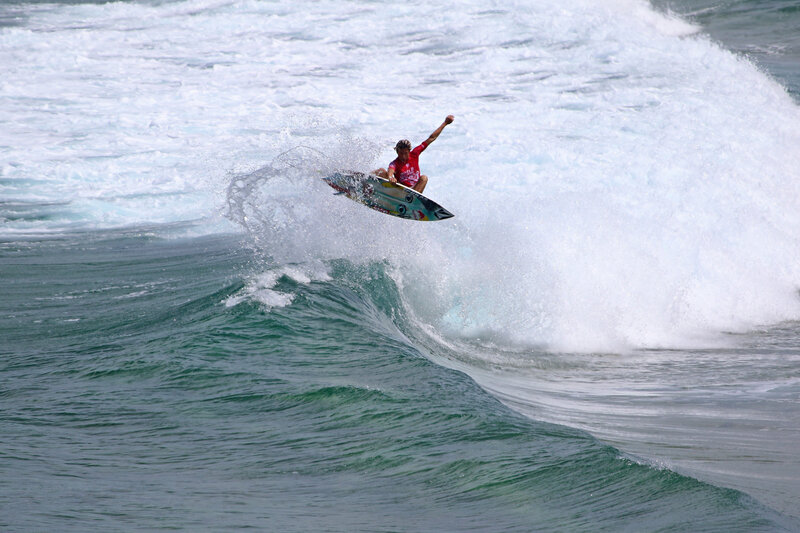 First surfer to progress through Round 3 was young world citizen Marco Mignot. 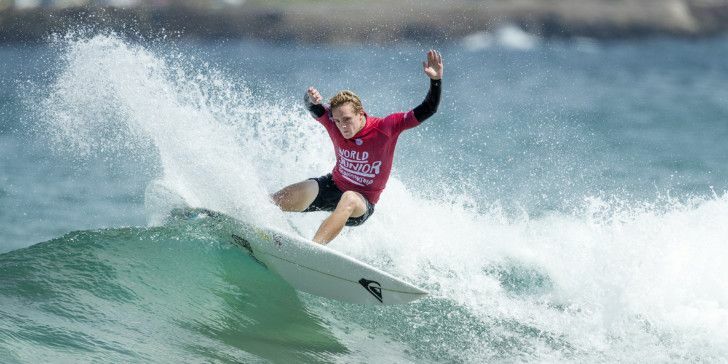 The electric natural-footer made light work of the challenging conditions finding plenty of space for manoeuvres and even throwing a few air-reverses to take the heat win and book a spot in Round 4. Heat 2 of Round 3 was an epic of the two small wave standouts of the WJC. Kei Kobayashi of Japan has been turning heads during the free surf sessions making the smaller weak waves look more like a skate park. Brazilian Mateus Herdy knew he would have his work cut out against Kobayashi and got busy early. Herdy looked comfortable in the small waves busting out tail high air-reverses and tight snap turns to post a solid heat total of 14.40. Kobayashi put up a good fight, but was unable to find the excellent score he needed. Kobayashi bows out in equal 13th while Herdy progresses into Round 4. Heat 3 of Round 3 saw somewhat of an upset as No. 5 seed Jake Marshall was taken down by South African Jordy Maree. Maree looked unfazed in the small, fast right-handers, going vertical and attacking the lip to post the highest single-wave score of the event so far, an excellent 8.50 (out of a possible 10). Marshall fought until the end but could not overcome Maree’s heat total of 14.90, the highest of the event so far. Hawaiian Cody Young made light work of the tough conditions managing a few solid combinations of critical turns and aerial spins to progress though his Round 3 heat. Young posted a mid-range heat total of 13.23 to move one step closer to achieving his dream. Northern Beaches hopeful Harley Ross indicated he had a solid game plan in place when he posted a 7.17 early in his Round 3 match up then sat patiently with priority. Ross never looked like losing the heat, stylishly swooping on his forehand to a heat total of 14.24 which proved too much for Taichi Wakita to chase down. 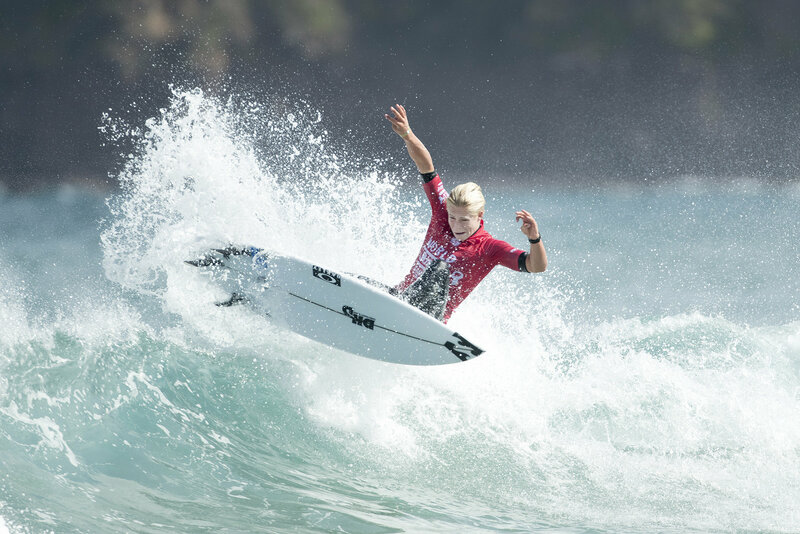 2017 Championship Tour (CT) rookie Ethan Ewing may have the biggest competitive year of his career ahead but the young Queenslander has made it clear that winning this event is his main focus right now. Japan’s Joh Azuchi tried his best to get tactical with Ewing, but the No.1 seed disregarded his attempts and put together a solid heat total of 14.00 convincingly winning the match-up and continue on his rampage through the draw.